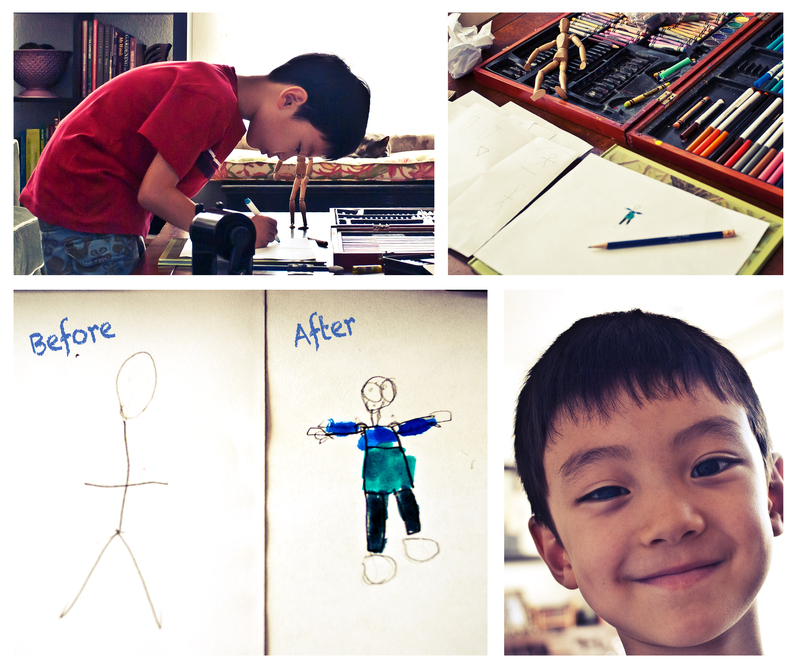 Here we have the results of an hour-long anatomy drawing lesson, buckets of frustrated tears, a few animated pep talks, and the resolve of one determined five-year-old boy. At his request, I left the room for 10 minutes while he made his final attempt. I came back to find this. I told him Dad was super proud of his drawing – but “super-duper” proud that he didn’t give up. Naturally, he was pretty super-duper proud of himself too.